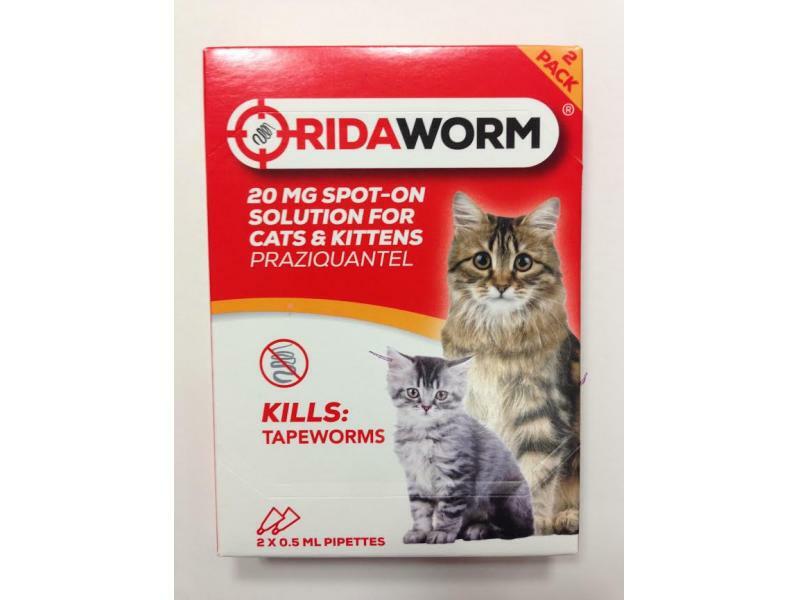 Ridaworm Cat Wormer is used to treat tapeworms in cats. 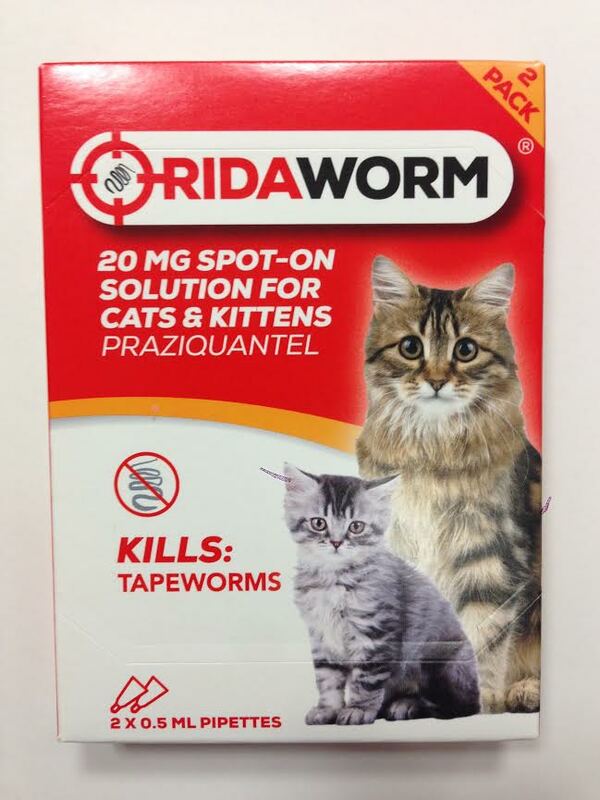 Effective against mature and immature forms of Dipylidium caninum, Taenia and Echinococcus multilocularis, Ridaworm is an ideal cat wormer at superb value for money. Dose: 1 pipette per 2.5kg bodyweight. Do not use in cat weighing less than 1kg. The product can be irritant to the skin and eyes. Care should be taken to avoid the contents of the tube coming into contact with the skin or eyes. If accidental contact with the skin or eyes occurs, wash off any skin contamination with soap and water immediately. Rinse the affected eyes thoroughly with clean, fresh water. In the event of skin or eye contact, seek medical advice if irritation persists and show the Doctor this package. Do not stroke or groom animals until the area of application is dry (typically around 1 hour after application). Keep product in the outer carton. There are currently no questions for Ridaworm Cat Wormer - be the first to ask one!